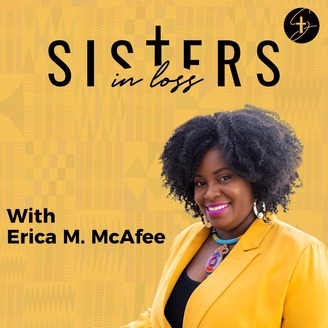 Sisters in Loss podcast spotlights faith filled black women who share their grief and loss stories and testimonies. Black women experience miscarriage and stillbirth two times more than white women according to the National Institutes of Health. Whether you have experienced a miscarriage, infant loss, stillbirth, or infertility, you will learn about resources and strategies to heal, gain clarity, peace, hope, and find an empowering path forward after loss. 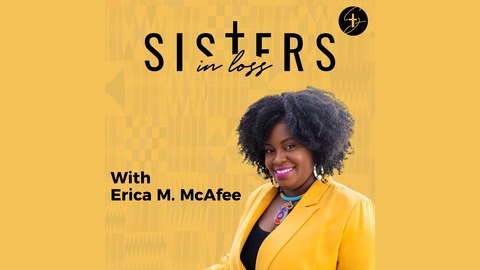 Join Erica M. McAfee weekly as she interviews Sisters in Loss who have healed from such a painful and traumatic experience by sharing their testimonies to inspire and help others to turn their pain into their purpose. April is what we call our Sisters in Loss Fertility Awareness Month. All month long we will be talking to women who have had fertility challenges, gone through alternative fertility treatments like IUI or IVF, and continue to push through the barriers to grow their families.